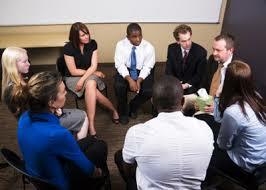 The “Change” group is designed to assist Executives and Professionals who are looking to address and change some aspect of their substance abuse. Participants discuss the issues that prompt change in their behavior and work toward realistic behavioral goals. While some participants seek a path of total abstinence, others seek a moderation or control strategy. This group is specifically tailored to High Functioning Individuals who wish to explore a change process with regard to their use of mood-altering chemicals. All participants undergo an initial screening appointment. While the group is offered twice weekly, participants must commit to a minimum of once weekly participation.